Soft, fragrant, pillowy morsels of dough encasing a cinnamon scented ring of apple goodness. 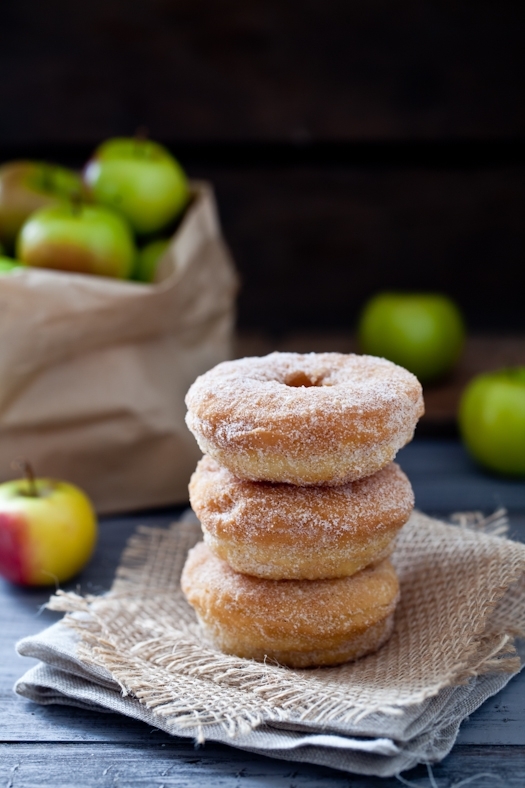 Apple Cinnamon Doughnuts. These will make you turn into the worst poet. Granted. But oh sweetness, they are worth losing a rhyme or two over. Forgive me if it sounds like my mind has been lost to a wonderful piece of apple cinnamon doughnut. Truth be told, I have had much less than my usual four hours of sleep these past few days and well, it does not bode well for articulated posts and inspiring poetry. 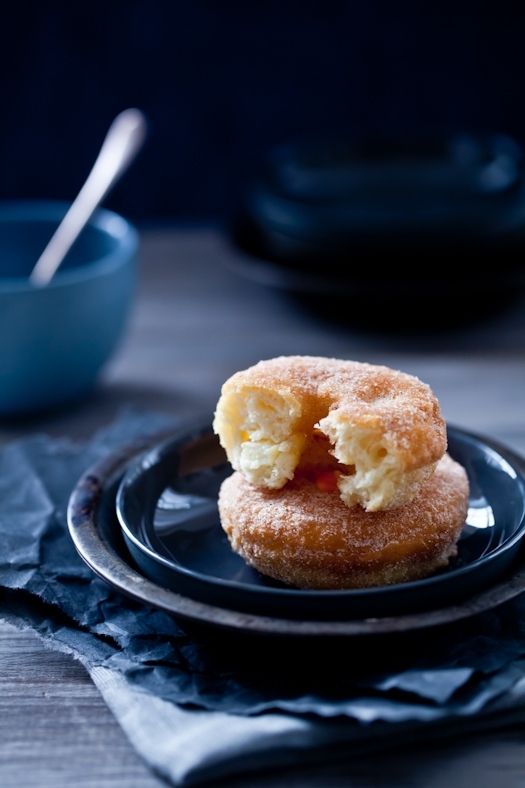 It does however create the perfect occasion to head to the kitchen for a cup of hot cocoa and a couple of piping hot apple doughnuts rolled into cinnamon sugar. Comforting warm doughnuts to cover up a mid afternoon slump of my eyelids on the keyboard. That, and a hug from my mother and I am good to go for another 8 hours. It's fun and strange to have my parents visit while B. and I are both busy with work and life but we do find some time to cook and hang out or listen to some jazz by going to see my husband play with his band. I always have a super soft spot seeing my mother beaming with pride when her son-in-law grabs his trombone and start playing her favorite tune. What's that got to do with apple doughnuts? Nothing and a lot. All sorts of fuzzies in the heart. A huge sense of now becoming the adult I knew I could be in the eyes of my parents. The simple fact of spending an entire day on a shoot and coming home to warm "Bonjour! Comment ca c'est passé la journée?" (Hello! How did your day go) in a language I now only hear when I call home. The simplicity of making dough and letting it rise. Taking the time to have a cup of tea with my parents while we make plan for the next day and my head is nothing but a vast juggling act of lists and deadlines. 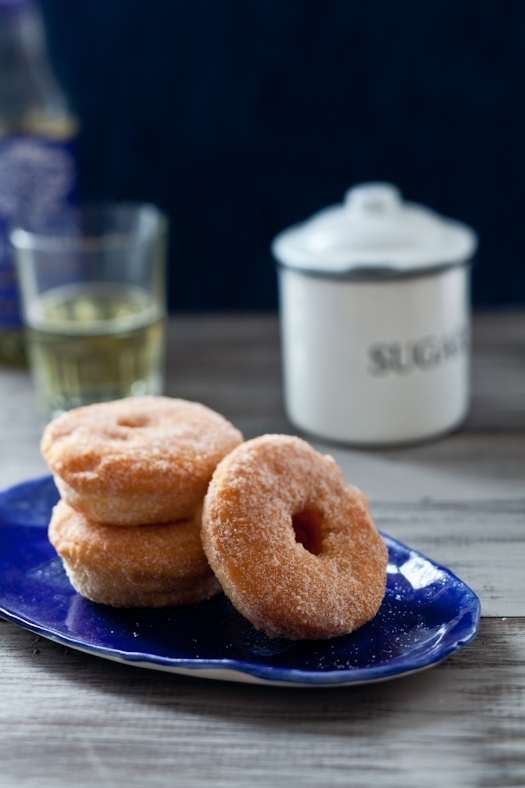 These apple doughnuts are so good we have deemed them "inhalable". If you need a fix, just hover over a plate of these and the world will instantly slow down and be kinder to you. If I had thought this through a little bit better, I would have made a batch and parked in the freezer. There will be some much needed inhalably inhalable moments in the next few days. And I fear less recipes to be posted. Trust me I'll be cooking though! I am putting the whole family in the car for a drive to Birmingham, Alabama where I am speaking at Food Blog South. There won't be much time for sight seeing but I am honored they asked me to speak on a panel and would not miss this for the world (great chance to catch up with close blogging friends too). We have to head back here right after my session on Saturday so I have Sunday to prep for work. I am thrilled to be photographing the cookbook "Marmalade" by Elizabeth Field (Running Press) all through next week! You should have seen my parents eyes lit up when I showed them the shot list and recipe list! Seven cases of marmalade of all sorts arrived at the house last week to be photographed as they are as well as used in savory and sweet recipes. Although I fear there won't be any recipe post, I will do my best to give you a lay out and various views of how a book shoot shapes up and takes place. I can't wait to get going. I am still tweaking some ideas for certain shots but that's just part of the excitement! Already went through the production part with kitchen assistants and now I am just picking out props, linens and surfaces for the shoot. If only I could let my mind rest for a minute before Monday that we start and I will be golden! 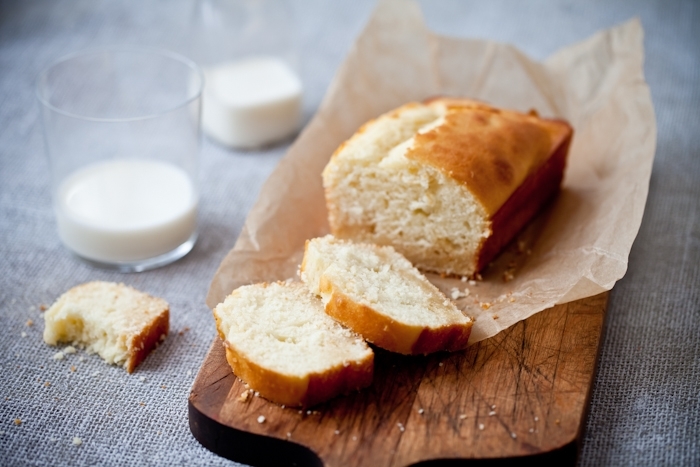 Place the yeast, water, milk and 1 tablespoon of the sugar in the bowl of a stand mixer and set aside in a warm place for about 10 minutes or until the surface is frothy and bubbling. Add the butter, flour, eggs and another tablespoon sugar to the yeast and use the paddle attachment to mix until you get a sticky dough. Dump the dough onto a lightly floured surface and need for a minute. Oil the inside of a large bowl with a little vegetable or canola oil (with pastry brush or paper towel), cover with plastic wrap and set aside in a warm place, free from drafts until the dough has doubled in size. 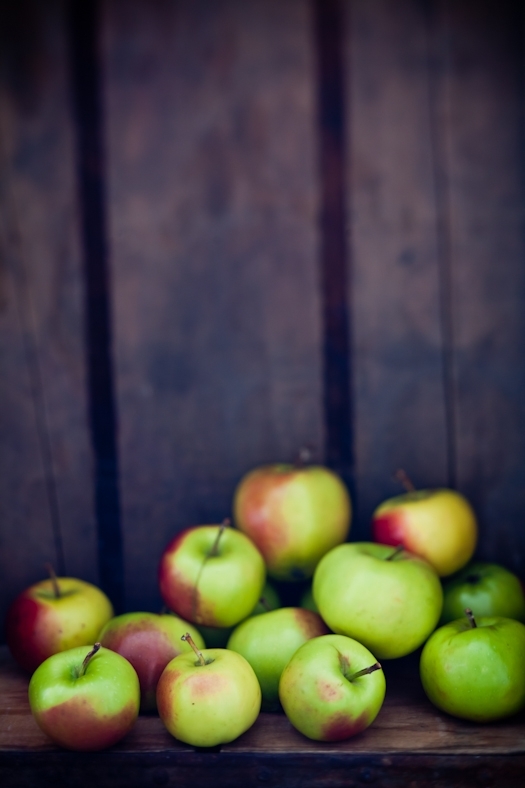 Place the remaining sugar, lemon juice, cinnamon and apple slices in a large bowl and toss the apple to coat them well. Knead the dough on a lightly floured surface for about 5 minutes. Divide the dough in half and roll each to about 1/4 -inch thick. Using a 3-inch cookie cutter, cut rounds of dough throughout. Place one apple slice in the middle of one. Place on a cookie sheet lined with parchment paperand set to the side. Roll out the other half of the dough and proceed to cut same amount of rounds from that one. Top each apple slice with a piece of dough (from second batch) and pinch the edges to seal tight. Cut a small hole through the middle with another small cookie cutter (found that bottle tops are the perfect size). Leave the doughnuts on the cookie sheet until they rise again for another 30 minutes. Heat up the oil to 350F and fry in small batches for about 1 to 2 minutes per side. Drain on paper towels. Dust with some sugar mixed with a pinch of cinnamon and eat fast...! First thing before today's post and recipe: the winner of the Squam Workshop Giveaway is Patti from Peppermint Ph.D! Congratulations! please send me your mailing address at mytartelette AT gmail DOT com so I can forward it to the Squam team. So strange. So strange to be writing and listening to the sound of my parent's voices in the room above ours. Such a pleasure. After weeks of scheduling and rescheduling, they finally arrived last Wednesday. It's been amazing to see their whole bodies relax and let go of the tension, the sorrow and the worries they have been going through. It's been wonderful to pick up where we left off since last May when they were here. So many things have changed and so much has stayed the same. I would have loved to have them here when work was less hectic but in a way I am glad they are able to see first hand how a magazine or cookbook shoot goes. What goes into a production meeting, how I organize the shoots, assistants and the studio depending on the task at hand. They have seen me find the route ahead and stick to it, work and practice constantly and have kept to themselves their worries and doubts as parents. It's nice to be able to share what goes on during a day at work. It's also nice to show them first hand that I don't noodle around until noon in my pj's because I don't have regular work hours. Above all, it's been so nice to spend time in the kitchen with my mom or engaging in conversations of all kind with my father at the dinner table. I like hearing the mugs clicking comes five o'clock. Sound that a little tea break and a cookie are just around the corner. It had been too long since I'd heard the usual "I know have too much bread on my plate and not enough cheese". I like observing them and how they interact with life. How they grew old and yet remain so much as I knew them when I was a teenager. I like the wisdom with which I am trying to approach their visit. I know. I did say "trying". What can I say...I have too much of both their temperaments sometimes and things might just get a little heated. Nothing that a glass of Champagne can't fix though. Right before they arrived, in between two New Year's Champagne toasts, we found ourselves with a couple of opened bottles and only two of us to drink them. During a work week, it proved a bit difficult to tend to them fast enough. 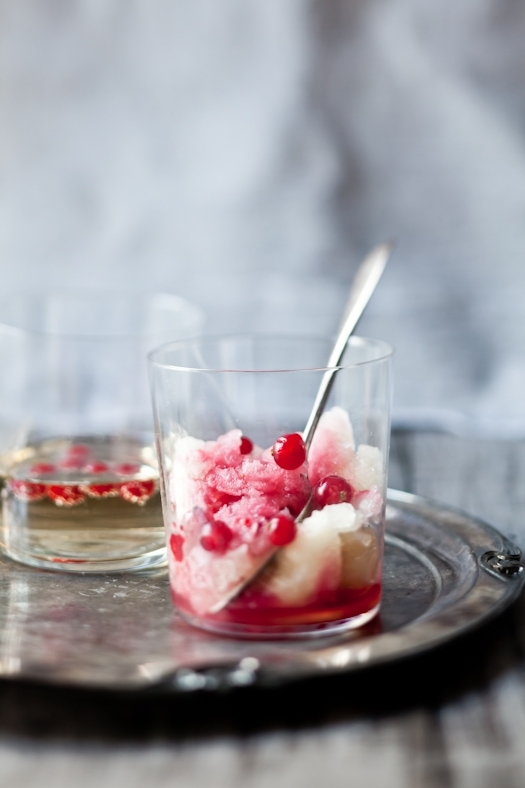 I had hoped during the holidays to save enough Champagne to make sorbet. Last week proved to be the perfect time. A little later than planned. I took it as a nice way to prolong the holiday spirit. 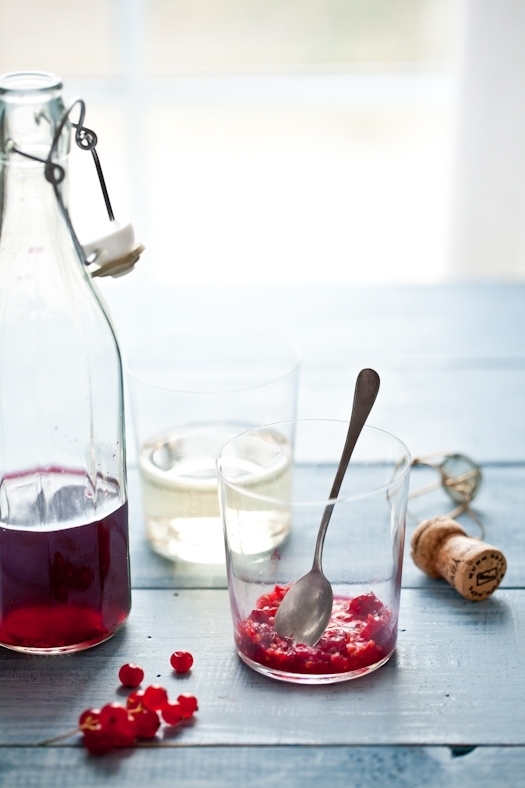 I have always liked Kir Royale (with blackcurrant liqueur) or a little raspberry or red currant liqueur in my Champagne. Seeing the red syrup slowly mingle with the bubble and swirl in its descent to the bottom of the glass. I knew I wanted to somehow create the same effect with the sorbet I was making. Since I still had a lot of red currants, I cooked them with lemon juice and honey and made a syrup to be poured over the sorbet right before serving. 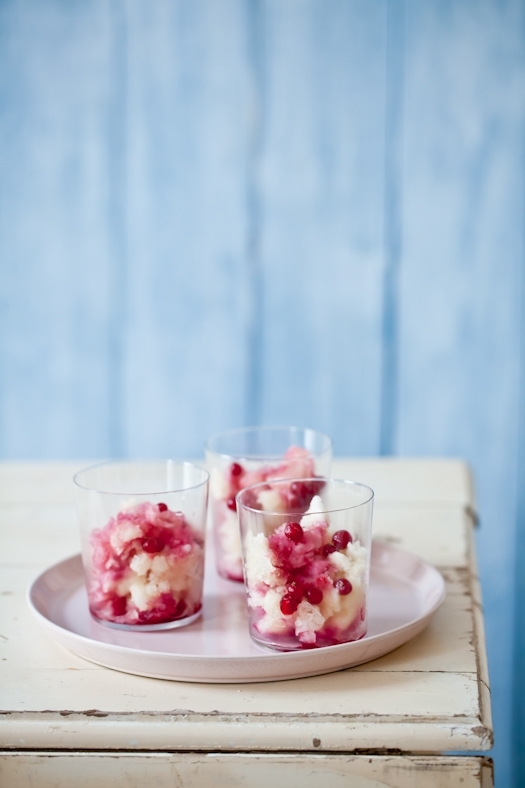 The red currant syrup was the perfect hint of tang and contrast to the sorbet. A simple dessert, full of life and generous in flavor. 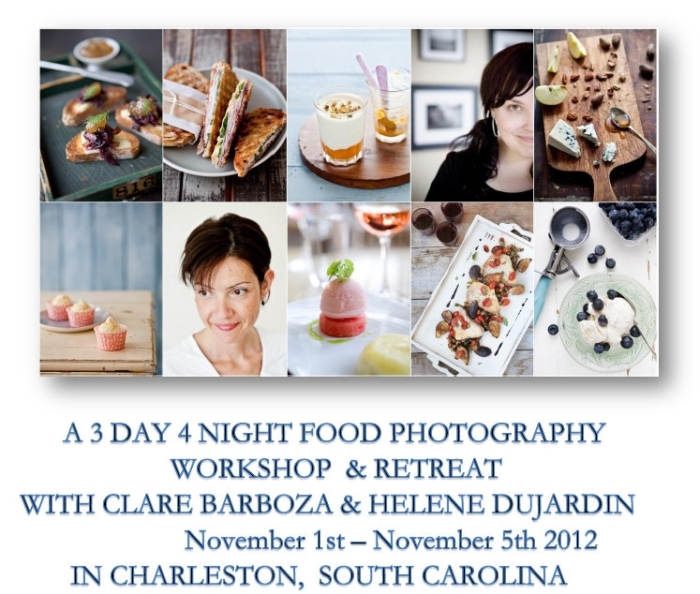 The November 1st - 5th workshop with Clare is already half full and going fast if you are interested! 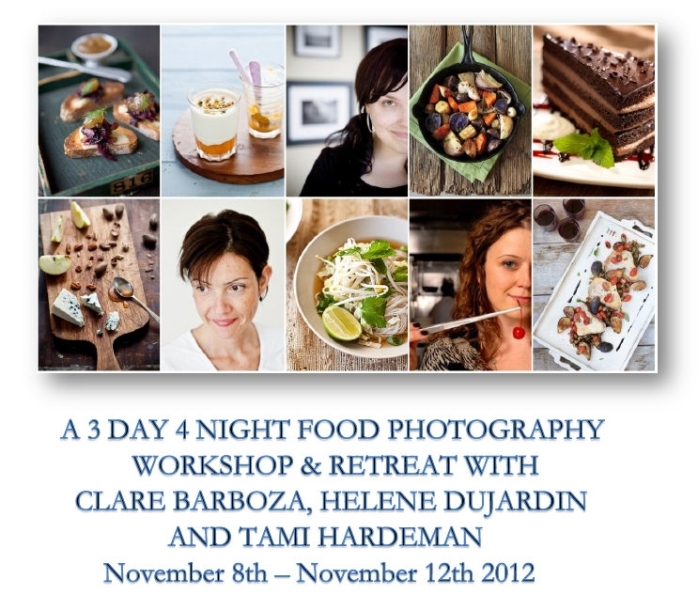 The November 8th -12th workshop with Clare and food stylist Tami still has some spots available! In a large saucepan, bring the Champagne, sugar and water to a simmer and stir to dissolve the sugar. 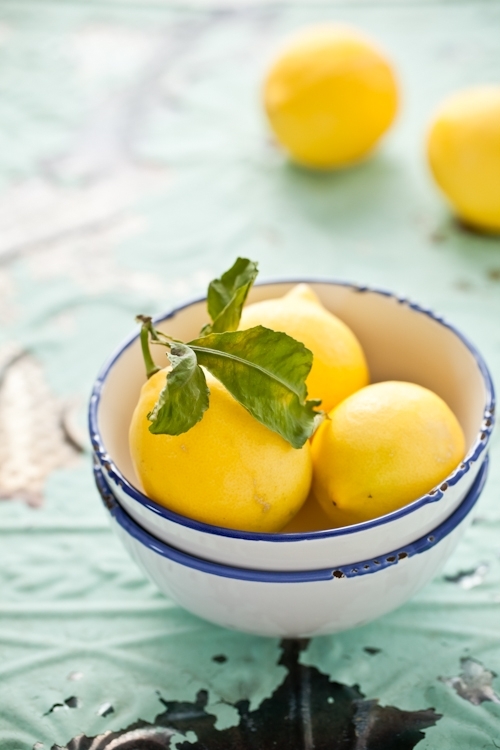 Remove from the heat and add the lemon juice and honey. Stir to combine. 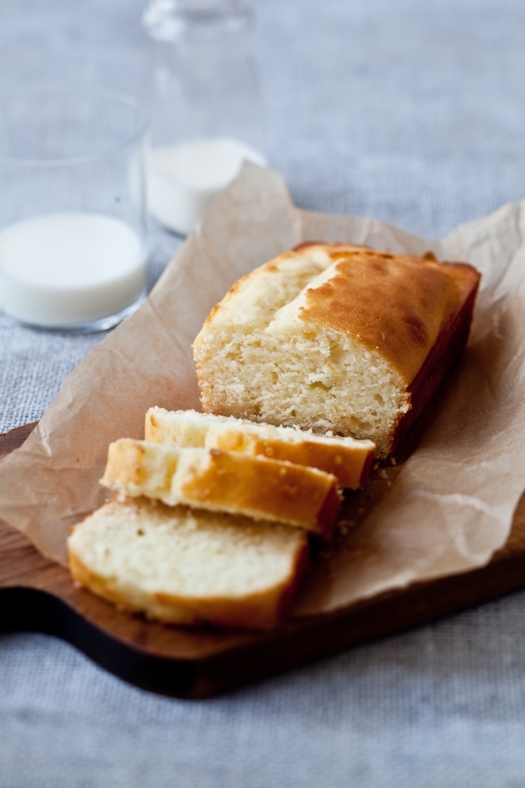 Refrigerate 2 hours or overnight until cold. When ready to churn, pour the liquid into your sorbet maker according to the manufacturer's instructions. 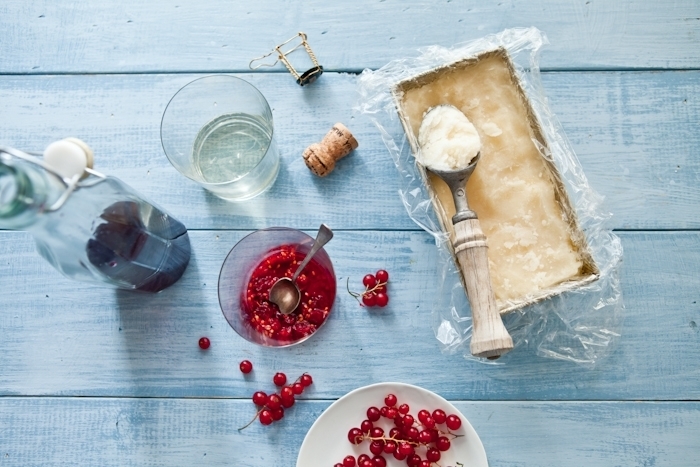 Once made, keep the sorbet in the freezer until ready to eat. 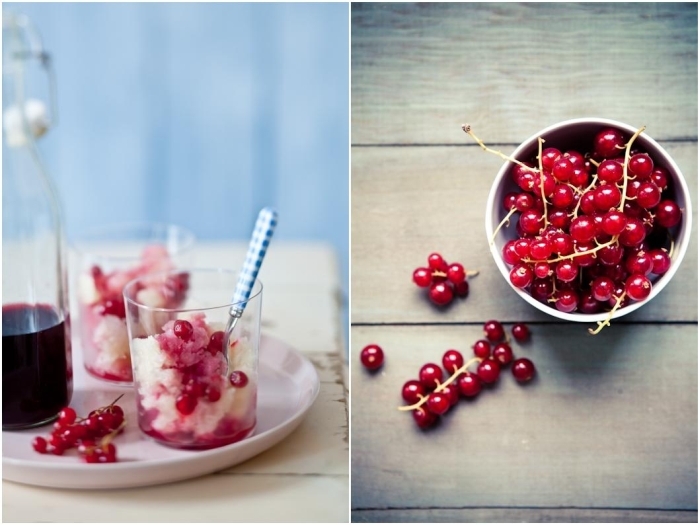 Serve with the red currant syrup drizzled over and some extra red currants of desired. In a large saucepan set over medium heat, bring the currants, water, honey and lemon to a boil. Reduce the heat and cook for about 30 minutes. Strain the mixture through a fine mesh sieve. Discards the solid and refrigerate the syrup until ready to use. 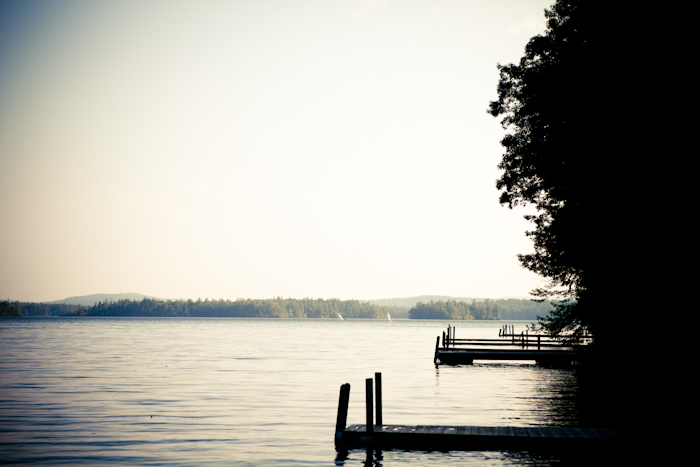 The first time I heard about Squam Lake and Squam Workshops I said outloud "Ugh?". That was last year. Now, when I hear those words, something inside of me lights up and I say "heck yes!" Squam is truly a magical place. A three day retreat put together by a group of talented women with the gorgeous Elizabeth leading the troups. 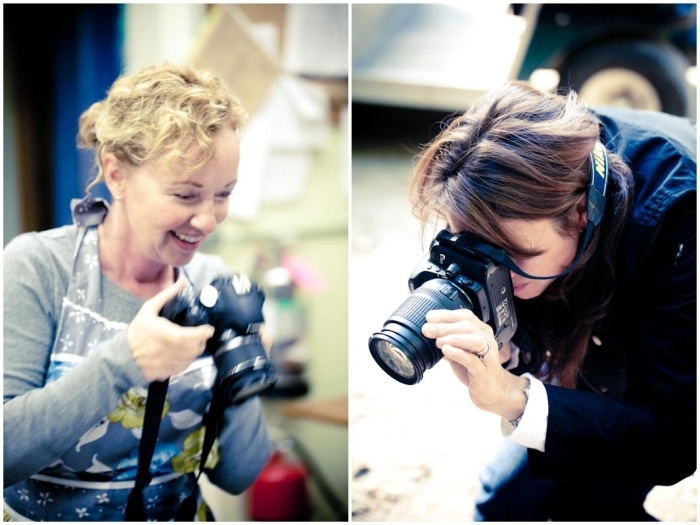 I was honored to be asked by Elizabeth to come teach last September and the experience changed me deeply. I understood I needed to be nicer to myself. My inner child resurfaced. The one everyone in my family talks about. I found her again. It made me progress and gave me what I called a work inspired. A direction. I am not letting go of that feeling, no matter how hard it is to express. At Squam, I met women so reserved, it was a gift to see their personalities transpire through their paintings, screen printing or story telling sessions. 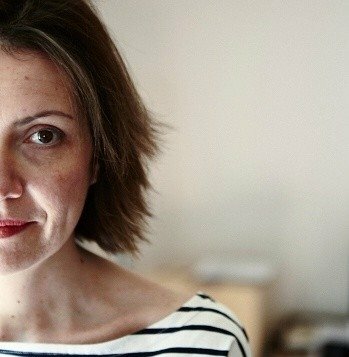 I also meant women so gifted at expressing themselves and leading others into tapping into their resources, that it was inspiring in itself when I went to lead my workshops there. 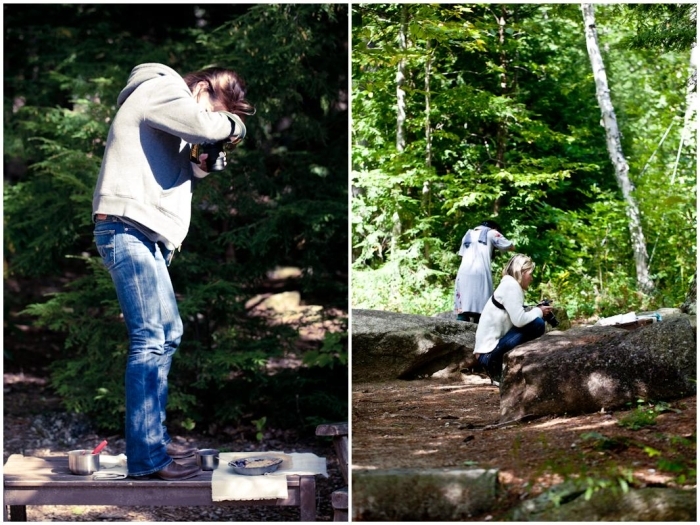 Back in September, I taught two food photography and styling class at Squam and really did not want to see the sessions end. The morning was devoted to cooking the food we would be styling and photographing in the afternoon. We had the luxury of the camp's commercial kitchen, equipped with everything we could need. During one session we made savory tarts and the day after we made cobblers and crisp. And we shared with everyone...I had the best roomates to come back to at night and share a glass of wine with in front of a warm fire. A couple of slices of tarts or a spoonful of cobbler and we were good to chat the night away. I was thrilled when Elizabeth asked me to come back and teach again this year. Not once but three times! I just can't wait. I love how each session combines cooking and photographing so no matter what you forte is with food and pictures, you will learn and have fun in the process. I loved all my students last year and learned so much from them too that I can't wait to meet the new ones this year! I will be teaching two classes at the Squam June Retreat In New Hampshire(I know it reads that one class is over 2 days but both are all day classes. All day Thursday and all day Friday). 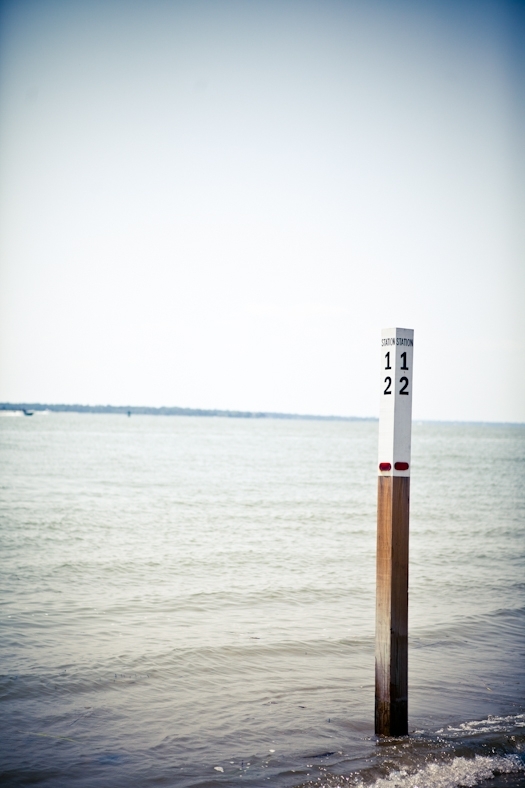 Then I will be back in NH at Squam for their September Retreat with two more classes. 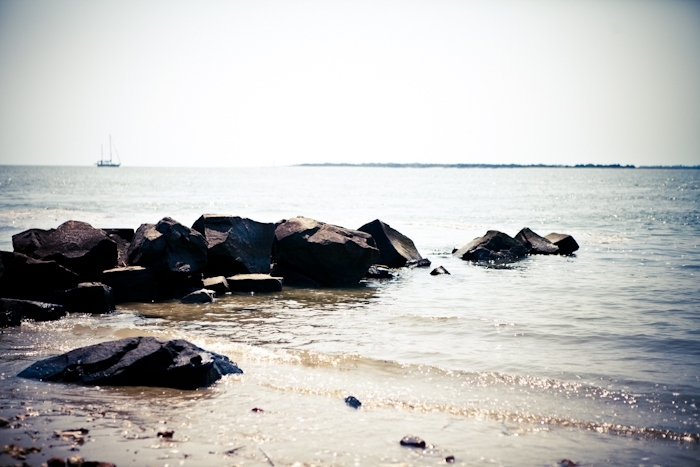 And I am super excited to be teaching at Squam By The Sea on the North Carolina Outer Banks. Check all the classes and schedules on the website. Hope to see you there! Making. Creating. Having fun. Letting go. Going with the flow. 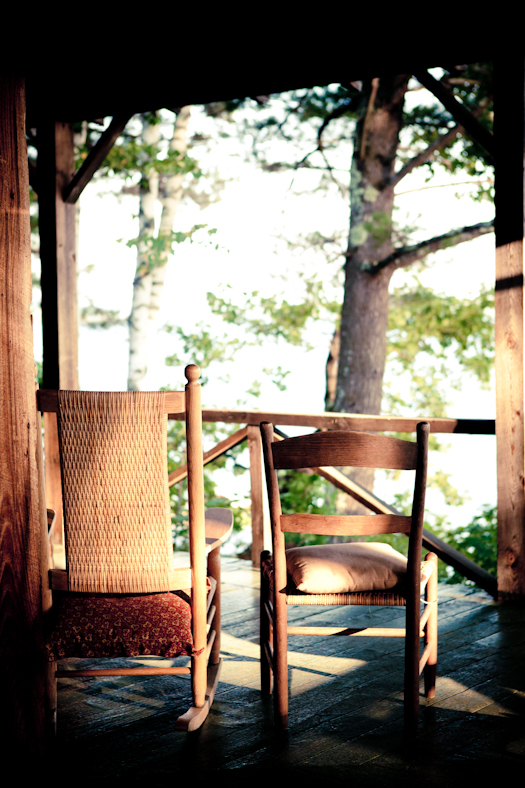 There is something for everyone at Squam. No matter your skill level. Hanging out is also a art form you know...! To celebrate this year's workshops and their brand new shiny website, the folks at Squam are doing a little giveaway for you guys. 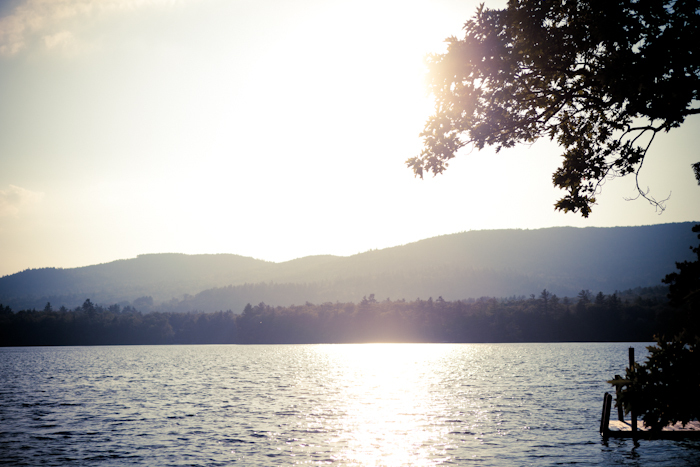 Every month, the Squam site will offer one exclusive item for sale. 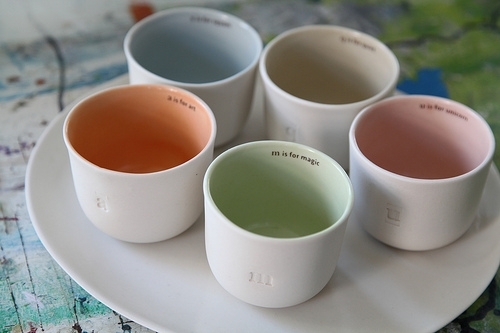 This January, it's these much coveted cups from Gleena Ceramics. 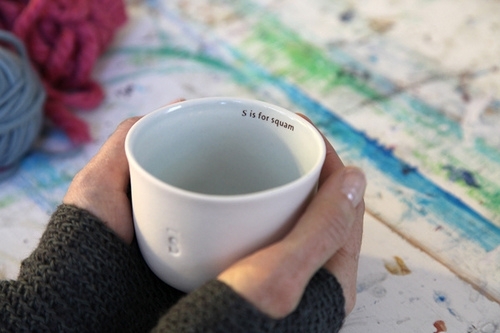 I am thrilled to see my friend Asya's gorgeous pieces associated with all the goodness that is Squam. Up for grabs is the "s" is for squam cup. All you have to do is leave a comment on this post. I will draw the name of the lucky winner on Tuesday at noon (Eastern US time). Why not taking this opportunity to tell me one Special talent that you have...! Squam is fun, Squam is enriching, Squam is what you want it to be. No one to force you into anything. No one to frown or look at you sideways. Squam is sharing. 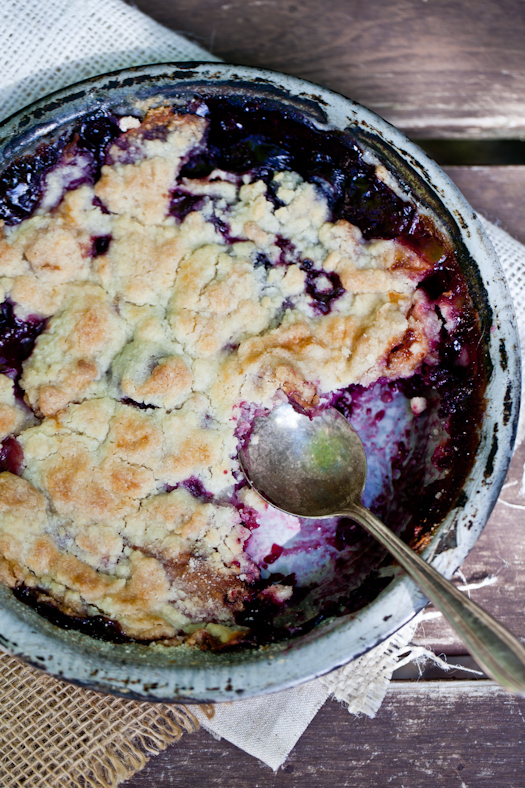 Tart and cobbler recipes after the jump! Half the quantity of ratatouille recipe here. 1/2 cup feta or goat cheese. Once the pastry has rested, preheat the oven to 375F. Roll it out on a lightly floured surface, to about 1/4" thickness. Line the tart pan with the pastry (or several tart shells if doing small ones). Line with parchment paper and fill it with pie weights or dried beans and bake in preheated oven for 20 minutes. Remove the parchment and weights, brush down the bottom, sides and edges of the tart shell with the egg wash using a pastry brush. Return the tart pan to the oven and bake another 10 minutes or until golden. Remove from the oven and set aside to cool slightly. 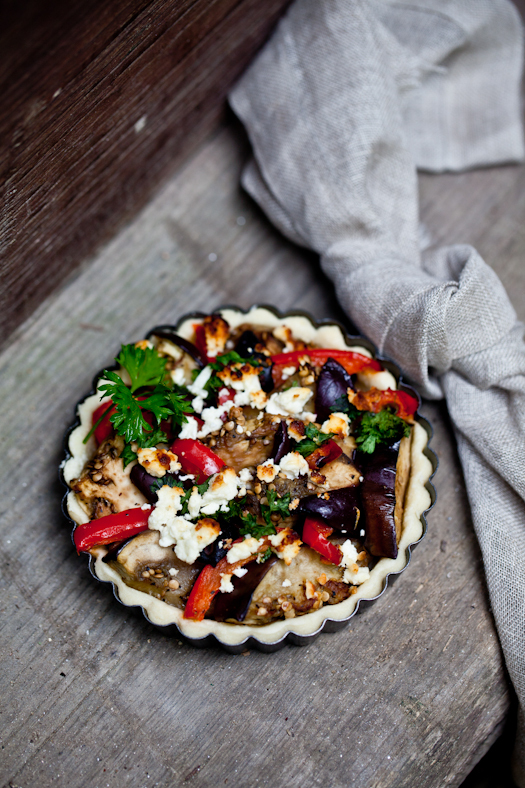 Fill the tart shell(s) with the ratatouille, top with the feta or goat cheese and return to the oven for about 20 minutes. Place the blackberries in a large bowl with the honey, lemon zest and juice, cornstarch and cardamom. Toss well and reserve. Divide the fruit filling evenly among 6 gratin dishes or ramekins. If the crisp dough was refrigerated, just break apart clumps of it over the fruit with your fingertips. If it was frozen, you can simply grate it on top with a large cheese grater. If you have been reading this blog for a while, you have noticed that I very seldom do product reviews or promotions. Part is because I am seldom solicited to do so. Part is because although I am asked every so often, I either don’t like the product I am offered or I don't think it fits this blog. But there are the rare times when something piques my interest, and the people asking for my collaboration do not take my opinion, time and readers for granted. Through my relationship with Martha Circle, the folks at Truvia hired me to develop and shoot a recipe for their New Year Healthy You campaign. I would probably have passed on the offer if it weren’t for my own current use of this stevia based sweetener and my desire to develop more and more recipes with it for a couple of family members who could benefit from it such as my mother who will be visiting soon. Even if I eat healthy almost every day of the week, there are always those periods of time when a few extra pieces of chocolate add up, that one little extra sliver of cake passes my lips and that extra creamy bite of macaroni and cheese just calls my name. Sometimes, it’s simply too much work and general lack of organization and the first things to take a backseat are proper homecooked meals. Food that is healthy and good for you does not have to be bland and boring. I have learned that along the years of cooking for family members with health issues as well as my own desire to keep my health optimum. Whether you need to pay attention to sugar, fats or carbohydrates in your cooking, there is always a moment when you feel something is a lacking or not working right yet. For me, it was sugar. Or the desire to reduce it without losing taste or texture in the dishes I’d cook. Enters Truvia. A natural sweetener made from the stevia plant. Although I have used stevia based sweeteners for a while, I became a Truvia user in the last year or so when my mom and I decided to try it in her favorite cake recipe. Maple syrup, honey, molasses are usually our sweeteners of choice but draining on the budget (especially if you bake or cook often) and not as portable as little packets of Truvia when you travel. 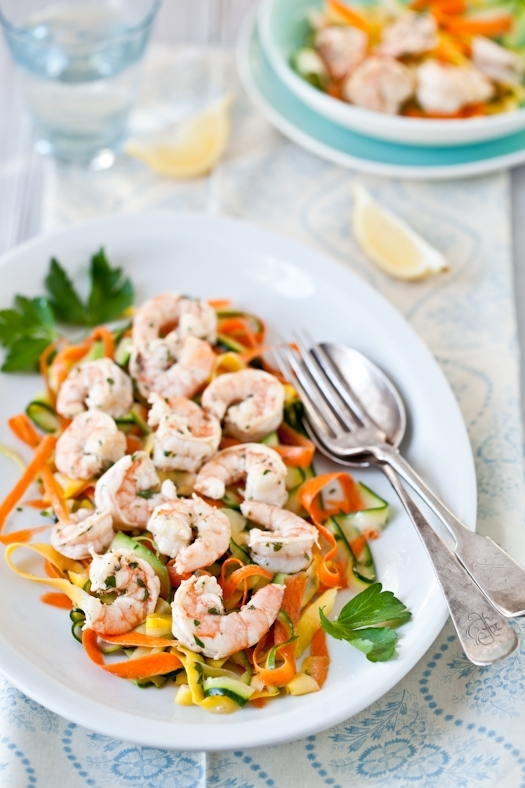 One of the dishes I like to make to get back into healthy habits after the holidays is a sweet and savory seafood salad with shrimp infused with a lemon, parsley and garlic marinade and served on top of zucchini, squash and carrots cut very thinly into ribbons. The marinade needs that little bit of sweetness to break down the acidity of the lemon marinade and Truvia works perfectly there (I use raw honey usually). A pinch and you are set. It dissolves quickly without over powering the rest of the ingredients. I love making this dish with all sorts of different seafood (mussels, clams, scallops) and different vegetables. Same goes for the herbs. 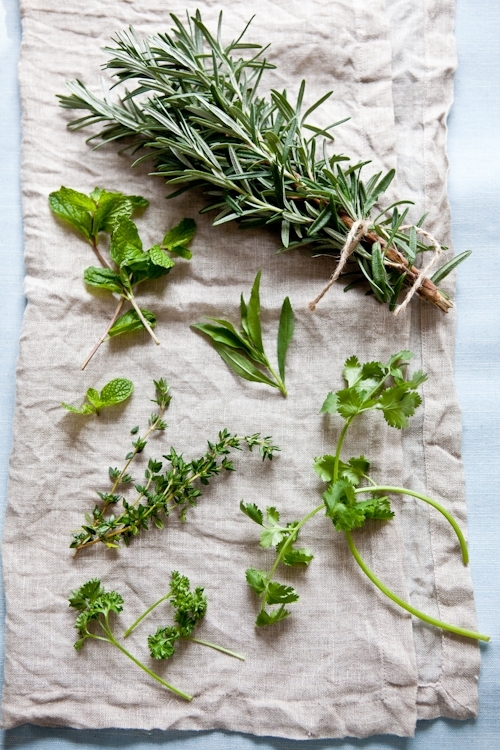 I always have parsley on hand but cilantro, tarragon, thyme and even rosemary work great here. Keep it light, easy, super fresh and full of flavor. Something that makes you feel good when you prepare it and light and healthy when you sit down to eat it. Disclosure: Through Martha Circle, Truvia hired me to create and photograph one recipe and I was sent a jar of their product to do so. The rest - my opinions and words - are my own. Shell and devein the shrimp, rinse under cold water and place them in a non-reactive bowl. Refrigerate while you make the marinade. In a small bowl, whisk together the olive oil, zest and lemon juice, Truvia, garlic clove, chopped parsley, salt and pepper until well combined. Set aside 2 tablespoons and pour the rest over the shrimp and toss them to make sure they are well coated in the marinade. Refrigerate 30 minutes. In a non-reactive bowl, peel the zucchini, yellow squash and carrots lengthwise with a vegetable peeler to obtain long ribbons. Stop before you reach the core. Discard the core or keep to make vegetable stock later. Toss with the reserved marinade. Refrigerate until ready to serve. Heat a non-stick pan over medium heat and sear the shrimp for about 2-3 minutes on each side. Discard the marinade used for the shrimp. Remove the shrimp from the pan and let them cool off on a plate. Plate the vegetable ribbon salad on a large platter and top with the shrimp and serve. I hope that everyone had a great holiday break and celebrated the New Year as they wished. Quietly or with lots of fireworks and revelers. I don't know about you but even if I don't make resolutions I truly enjoy this feeling of starting clean that comes with January. Twelve new months, yours for the taking. Yours to create, get inspired, start, accomplish...There is something exhilarating about the new year. Personally, it gives me an even greater wish to leap, with all my fears at times, or without any at others. It also fills me with the desire to reset the clocks, just like we do with a new calendar. Internal clocks, personal clocks, work clocks. Setting priorities and goals. 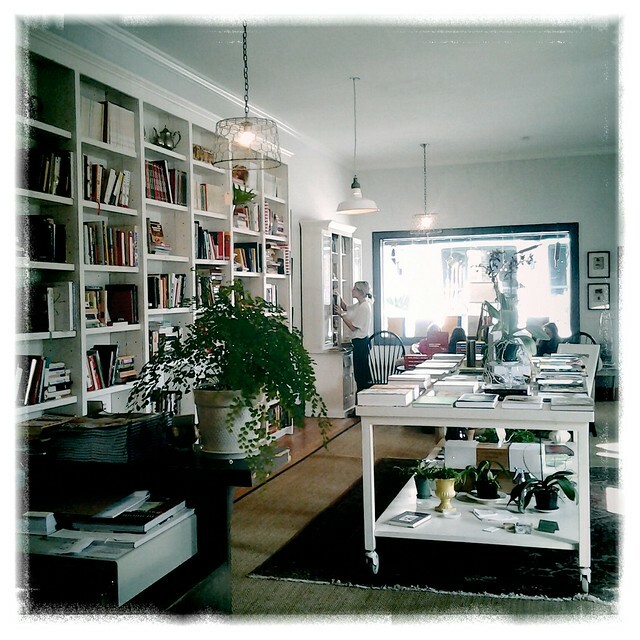 Making inspiration and mood boards. It's been good to dive back into creating recipes, writing the stories around them and thinking about their photographs. There are lots of fun blog projects in the planning. In the middle if all these "happy new year moments", my family suffered another great loss yesterday. Once again, without my family being close enough to hug and comfort, I turned to the only things I knew to do at the time. Clearing my head, getting inspired and cooking. Anchoring feeling of loss to the present, to tangible things I could do and explain, I took my camera and headed to the beach. I observed quietly. My fingers got numb gripping my camera straps so hard. But the colors, the quiet empty beach before me...blues, grays, reds... They put my mind at ease. The waves crashing at my feet truly reminded me that life is "it". It's full if we make it so. It's not perfect because we make it so. There is life inspired in everything. On my way home, I stopped at the fish stands at the end of island and got a bag of fresh mussels. My comfort food. It was close to lunch time. Convenient to start cooking. 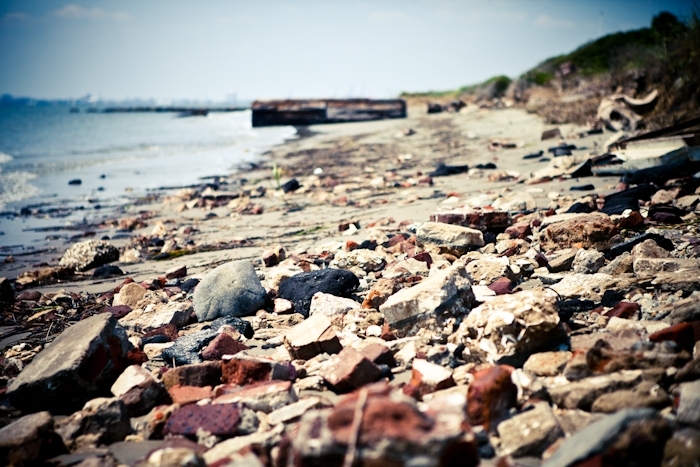 Like most of us, beside being a necessary act of survival, food is also part of our story. My food stories involve every member of my family. They include many friends. They are full of laughters, jokes, pranks, animated discussion, etc... They are full of life. Deeply aware that every part of me was now bursting with energy and inspiration, I cooked and photographed. I found my rhythm in the things I knew to be my constant. After a much needed break over the holidays it felt good to be back in it. Normalcy coming back little by little. Steamed mussels are pretty much my go-to super fast dinner or lunch. They really take very little time and are super flavorful when cooked with some white wine, garlic and parsley and finished off with a spritz of lime juice for example. Ok, they are a bit messy but that little imperfection is part of their charm. Just like the beaten up Key limes I got at the store (in the reject box where overdue fruits are sold for pennies to the pound). I am founding imperfection really soothing lately. The cake was an experiment that did not turn out the way I hoped for but which did not take away any of the wonderful taste or aroma. I had made a small galette des Rois over the weekend and had a half quantity of frangipane left. I layered it with the cake batter and swirled it, hoping it would create a nice design when cut through. I apparently did not swirl hard enough. Imperfect result. Perfect taste. Paired with a cold glass of milk and I suddenly felt my entire body relax. As cliche as it may sound, food truly has magical powers. Well...cake does...! I truly wish you the happiest of New Years. Live fully. Play hard. Leap and take chances. Tiny or big. Do what makes you truly happy. 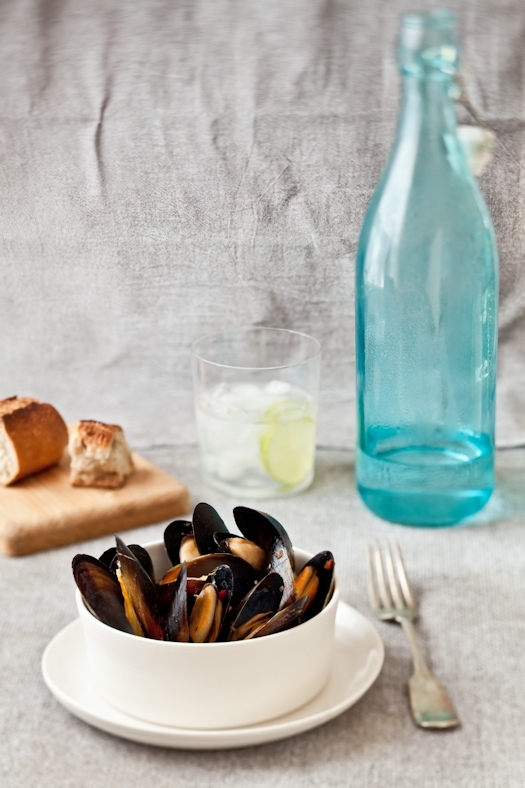 Clean the mussels by scrubbing them under cold water and remove the little fuzzy "beard" that hangs on some of them. Place a large skillet over medium heat and add the white wine, stock and garlic. Bring to a strong simmer, add the mussels all at once. Cover the pan with a lid (or if you are like me, lid-less, another skillet of the same dimension). Let the mussels cook 6 to 8 minutes. Thrown in the parsley, toss with the mussels. 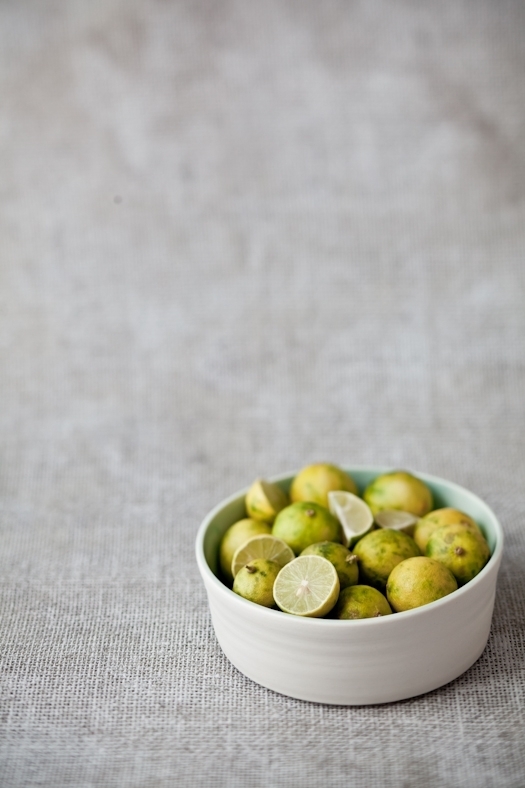 Discard any that did not open and serve immediately with some of the an juices and a spritz of lime or lemon. Preheat the oven to 350F. Position a tray in the middle. Grease two loaf pan and line the bottom with parchment paper. Place the pans on a baking sheet. Set aside. 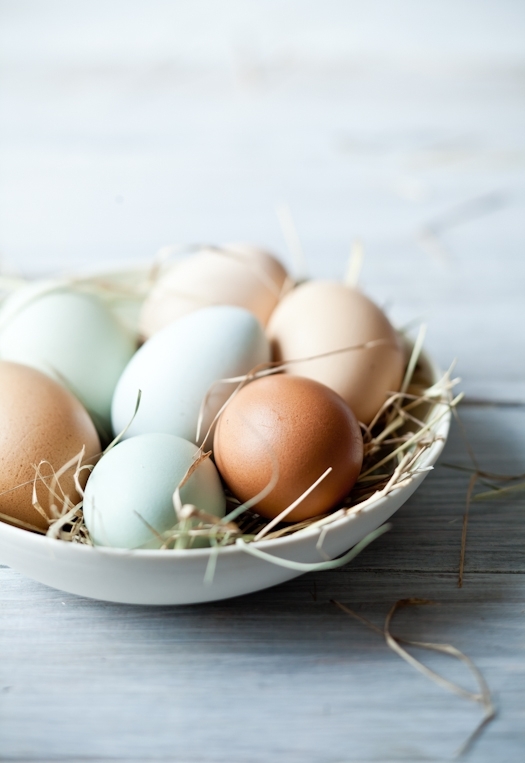 In a large mixing bowl, whisk together the buttermilk, sour cream, sugar and eggs until pale (takes about 2 minutes). Add the oil and lemon juice and zest and mix until well blended. Add the flour mix and baking powder and whisk about 50 strokes until the batter is smooth. Divide half the batter in between the two pans. Top each pan with the frangipane filling over that first layer. Divide the remainder of the cake batter in between the two pans to cover the frangipane. Bake for about 40-45 minutes (on convection) to a hour (regular) until a knife inserted in the middle comes free of raw batter. 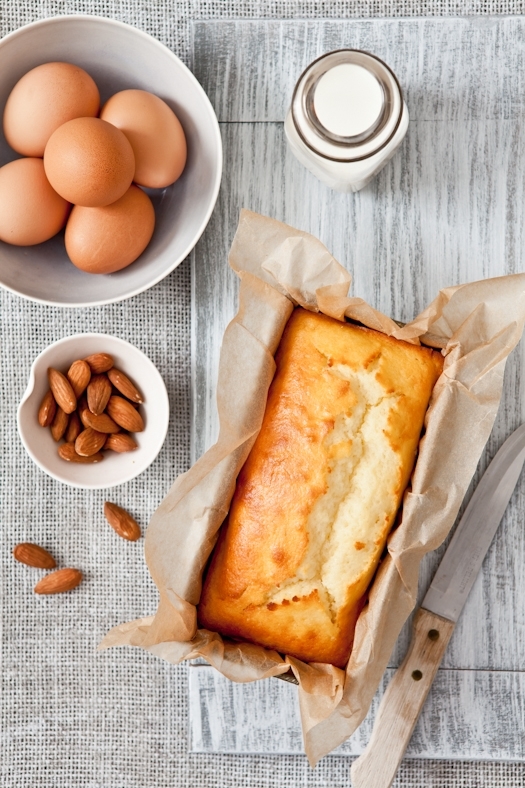 Place the butter, sugar, ground almonds, and the eggs in a large bowl and whisk until smooth (can also be done in a food processor). Add the cream but stir in it instead of whisking not to emulsify it or it will rise while baking.